Italian Greyhounds crave human company. They will not thrive in a home environment where they are left on their own for long periods of time every day, nor as kennel dogs that live outside your home. 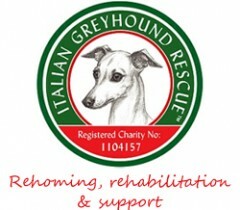 Italian Greyhounds need to live in your home as part of your family and have lots of interaction with their humans throughout the day. Italian Greyhounds have been bred as companion dogs for hundreds of years and that means that their desire for companionship is literally inbred, it’s part of their DNA. Their need for company and frequent and regular interaction with their human family is very strong. Any Italian Greyhound owner will tell you that if you ignore your Italian Greyhound for ‘too long’ e.g. if you are having a long conversation on the phone or working on your computer, they will soon think up a way of ‘reminding’ you that they are about – this could be through mischief or simply pestering you until you give in. Make time for your Italian Greyhound throughout the day. Simple interactions like playing with your dog for fifteen minutes at least twice a day, taking your Italian Greyhound for a walk, fun training sessions, and of course some quality lap time will help you and your dog to develop a bond and also satisfy your Italian Greyhound’s need for companionship. Where should an Italian Greyhound sleep? Italian Greyhounds should sleep in the warmth of your home and not in an outdoor kennel. Aside from the fact that your Italian Greyhound will want to be near you, Italian Greyhounds have very fine coats and are simply not built to withstand hardy conditions and cold weather. 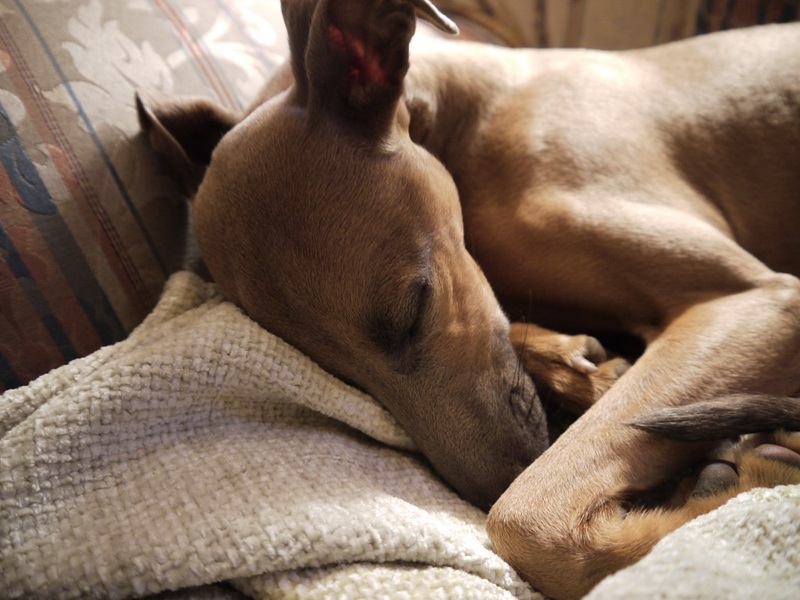 We recommend that an Italian Greyhound should have a soft, cosy bed of his/her own. Remember that dogs are den animals and it is important that they have the equivalent of a den in your house. 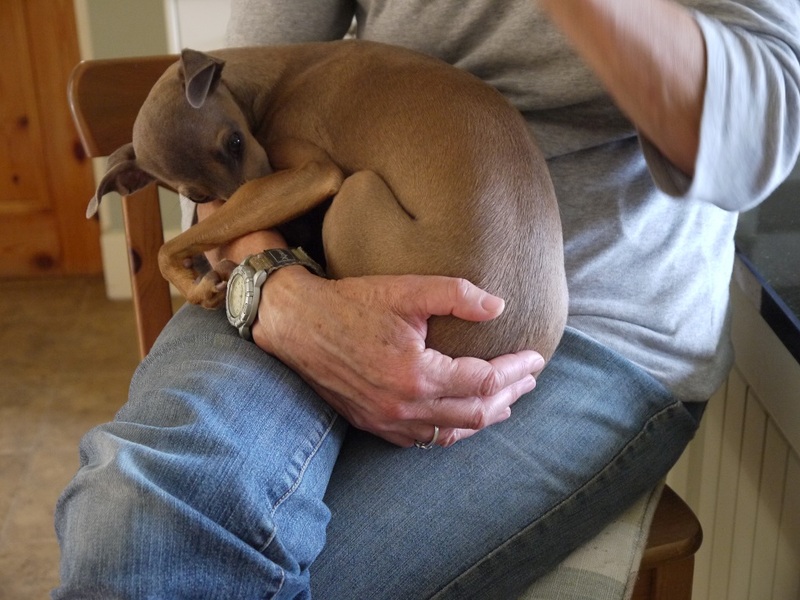 Crates make great dens for dogs in the home – simply leave the door open so that your Italian Greyhound can wander in and out as he/she pleases. Italian Greyhounds also like to get under blankets to stay warm so make sure that you put a soft blanket into their bed. There are also ‘Snuggle Bed’ and ‘Snuggle Sack’ type beds which are designed for your Italian Greyhound to climb into with a cover on top so that they stay warm and cosy.